Hannah Adamaszek trained at Bournemouth Arts Institute gradating with a Degree in Fine Art, and has exhibited across the world. 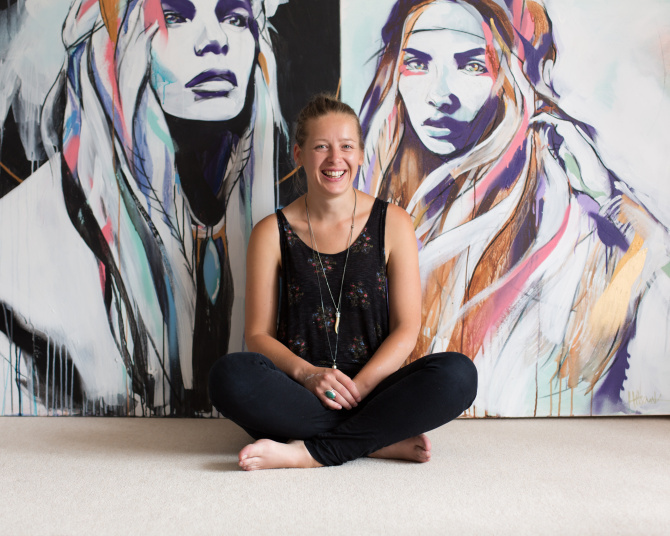 Hannah has achieved rising star status in the urban art scene and has bought a unique, feminine approach to an otherwise male-dominated street art scene. Hannah’s body of works explore the joyful beauty of female portraiture. Her pieces are expressive, thoughtful and are truly captivating. These pieces bring the beauty of our souls to life, a female muse at harmony with herself and her surroundings. Hannah will be exhibiting in our group street Art Exhibition ‘Outside In’ in June 2018 so watch this space.